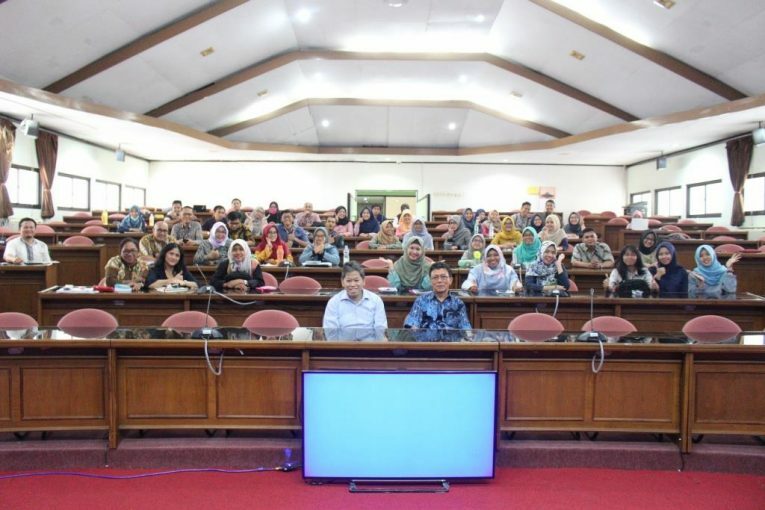 Yogyakarta- Monday, November 12th 2018, Master of Science and Doctoral Program, Faculty of Economics and Business, Universitas Gadjah Mada (MD FEB-UGM) conducted a public lecture with the theme: Meta-Analysis of the Effects of Electronic Payment Systems (Digital) on Monetary Economics Magnitude. The public lecture was delivered by Prof. Insukindro, Ph.D., who is a Lecturer in Economics, FEB UGM. The public lecture at the BRI Auditorium 3rd floor, MD FEB Building UGM was opened by Prof. Catur Sugiyanto, M.A., Ph.D. as Director of the Economics Program FEB-UGM. There are four main things conveyed by Prof. Insukindro, Ph.D. in the public lecture, namely the concept of digital economy, payment system, meta-analysis related to the effect of electronic payment systems on commercial, economic quantities and a glimpse of empirical studies conducted by Prof. Insukindro, Ph.D. The concept of digital-based economy is a digitalization of information and information and communication technology (ICT) infrastructure in the economic field. The idea of digital-based economy is often seen as feasible to explain the influence of ICT or the interaction between the development of innovation and technological advances in micro and macroeconomics. One form of digital economy that exists in Indonesia is BI-RTGS (BI-Real Time Gross Settlement), which is a system of electronic transfers between participants in rupiah and the settlement was done in real time.